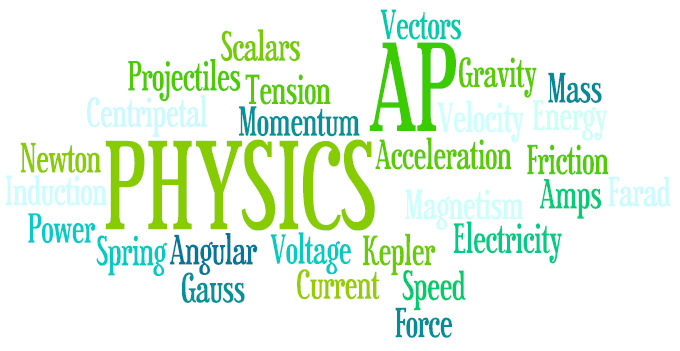 AP Physics 1 course is designed to enable you to develop the ability to reason about physical phenomena using important science process skills such as explaining causal relationships, applying and justifying the use of mathematical routines, designing experiments, analyzing data and making connections across multiple topics within the course. This course focuses on nine topic areas: The study of mechanics, energy, electricity and magnetism, wave phenomena, and modern physics. Hands on activities and applications will be stressed. Assignments involving writing and calculations will be assigned on a daily and weekly basis. Students should be able to use algebra to solve word problems. Welcome to Regents Earth Science! We will be studying everything from fossils to weather, stars and even dirty snowballs (aka comets). In Environmental Science, the outdoors will be our classroom. Be prepared to go outside! CLASS EXPECTATIONS AND GOALS: This course is designed to give you an in-depth view of chemistry at the college level and may be taken for up to 8 college credits (GCC). The course consists of 2 sections (CHEM 101 –fall and CHEM 102 –spring). Topics of study include: matter and measuring, atomic structure, the periodic table, stoichiometry, chemical bonding, physical behavior of matter, kinetics, equilibrium, acids and bases, redox and electrochemistry, organic chemistry, and nuclear chemistry. Be on time and prepared for class. A bound composition notebook or folder with grommets for lab work. GRADING: At the end of each semester you will receive a grade that will be determined by homework problems, class work, projects, tests, quizzes, and lab reports. Practice Problems will be assigned to reinforce concepts learned in class and to help me monitor your progress with regard to the material that we have covered in class. I will not collect your assignments however I will often check your understanding with a short quiz at the beginning of class. My belief is that assignments should be kept relatively short and always pertinent. The problems will cover a range of difficulties, and while I encourage all of you to attempt every problem, only you know your level of understanding. LABORATORY WORK: Lab is a privilege, not a right. All lab work will be conducted in a safe manner, according to the practices we cover together in class. Additionally, after each experiment you will be expected to write a lab report. If you miss a laboratory experiment it is your responsibility to make up the lab within one week of the experiment. Failure to do so will result in a grade of a zero for that particular lab. Part of your lab grade is also based on how efficiently and effectively you set up your lab and clean up at the end of the period. You will be given a list of materials and shown an example of how the set-up should look. Then it is your responsibility to acquire those materials and set up the apparatus. ATTENDANCE POLICIES: To succeed in this class attendance is necessary. However, it is understood that illness and unexpected events do come up. In the case that you are absent you will still be responsible for materials covered. If you miss a class it is your responsibility to make-up any missed work and get up to date on any notes. To accomplish this the day you return from your absence, I expect you to ask me for any missed work at the beginning or the end of class. Additionally, you must ask a student for an explanation of class work or homework you missed along with the notes from the day or see me after school for an explanation. If you missed a quiz or test on the day of your absence you will be required to make it up within one week. Failure to do so will result in a grade of zero for that quiz or test. CHEATING: All written work in this course is to be the original work of each student. In the event that anyone is caught cheating or plagiarizing you will receive a grade of zero for the assignment, quiz, test, or lab. Anyone complicit in the cheating will also receive a grade of zero. NOTE: Despite the fact that you will complete laboratory experiments with a partner you are all expected to practice the lab skills for each experiment, and to write your own laboratory report. In addition, each person in a lab group solves every problem so that we can check each other’s work. Every person in a lab section is an active participant in all phases of the experiment and write-up. This course will help you to observe, measure and appreciate your surrounding environment. This interdisciplinary course will help you understand where you and all humans "fit in" globally.